Sonically matched in the Sabian Vault, the Sabian B8X Performance Set includes 14" B8X hi-hats, 16" B8X thin crash and a 20" B8X ride. An ideal performance-ready set for the serious and discerning beginner. Precision formed, hammered and lathed for pure, tonally tight sounds, B8X makes your first move into this precious metal an easy one. 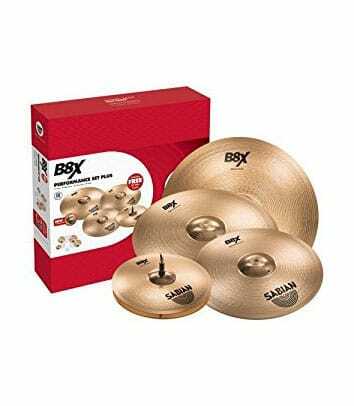 B8x Performance Set Plus from Sabian is 100% original and brand new. We, at Melody House take pride in our after sales service and support. For further details on the b8x performance set plus, Sabian, simply write to us to consult an expert or order online and we will take care of the rest. Happy Shopping!